I can’t believe it’s already Tuesday again! 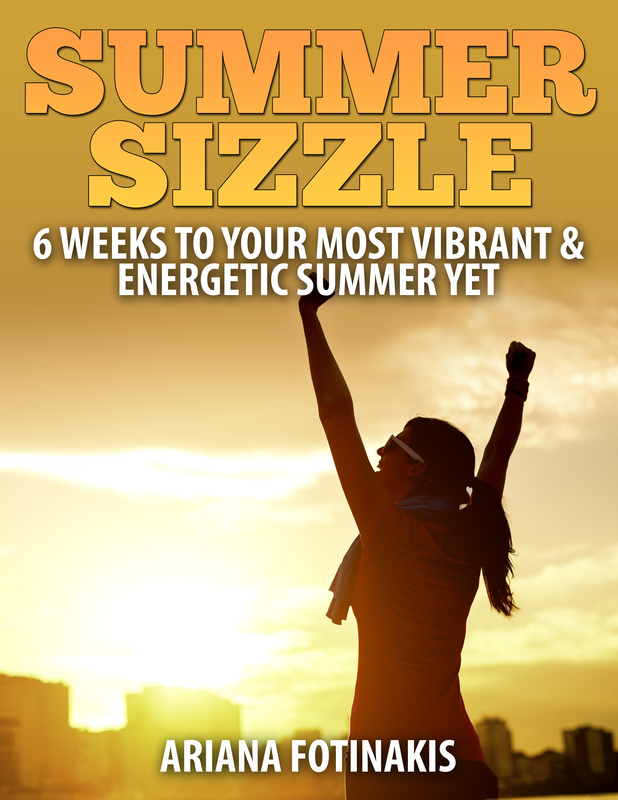 I figured after releasing my Summer Sizzle program last week I’d have a bit more spare time…totally wrong about that! I picked up a new client that I had to assess and make a plan of attack for, had a full Saturday afternoon of training to write programs and homework for, had a four-week program to write for one of my girls, and completely forgot about my change in shifts at the hotel on Friday, which felt like the longest 9 hours of my life. I’m used to being busy so normally this wouldn’t be too much of an issue, but I’ve really been slacking on my meal prep lately which reminded me how important it is in order to keep my sanity! Many lunches consisted of quick protein shakes and dinners were whatever I had in my fridge thrown together into a tupperware container. Whatever works, right? Needless to say I was so ready for the weekend, and a fabulous one it was 🙂 I actually got to sleep in on Sunday (!!!) before hitting the gym with Jordan. I had a great back workout and PR’d on my barbell rows (70lb for 5 reps! ), and we ended the workout with this fun little finisher: inverted rows x 30 seconds, squat jumps x 30 seconds, push-ups x 30 seconds, split jumps x 30 seconds. Rest 1 minute after completing all exercises, repeat 2 more times. Give it a shot; if you’re not feeling like you gave it 100% during your workout, this will totally change that. After a shower and a quick breakfast at a (crappy) little restaurant nearby we hopped on our bikes and headed out for a 30km ride. We took our time and made some stops along the way, but although Jordan doesn’t know this, this ride was in part to help me get used to being on a bike that long in preparation for my triathlon coming up in the next month and a half (more on that later). After a delicious dinner at a Mexican restaurant, we dragged ourselves home on our bikes and then laid on the floor for what felt like hours. Yesterday was equally awesome, with a client at a new gym in the morning, an adventure at the Capilano Suspension Bridge, and a quick trip to the mall before grocery shopping and meal prepping. Even though this week wasn’t looking to be as busy as last week, I wanted to be prepared for it! As much as I enjoy cooking, it’s so much more convenient mid-week to be able to grab something that’s already made out of the fridge. I think I’m set! I’m free to focus on my clients as well as my own training without worry about what I’m going to eat. I do, however, have another worry on my plate, which is my impending doom triathlon coming up on July 13. At first it was just the idea of swimming that scared me. I’ve never been much of a swimmer. I had a few traumatizing experiences as a kid and avoided swimming lessons after that, perfectly happy with dog-paddling my way from A to B. I figured that’s probably not the most efficient way to get around in the water, and since I still need energy to ride a bike for 20km and run for 5km after swimming 500m, I decided to take up swimming lessons. I learned to front crawl and how to breathe properly, and I also learned that some people are natural “floaters” and some are “sinkers”. And of course, I’m a sinker. I currently can make it about 25m before I start running out of breath or start sinking too much to be able to come up for air without breaking my swim cycle. So that’s kind of terrifying. As are the stories I’ve heard about people getting kicked in the face, losing goggles, and getting rescued by boats. And then I found out the race is in open water. Do I need a wet suit? It’ll be in July, and I’ve gone swimming outside in July. Is there going to be seaweed? I hate getting touched by seaweed. And fish. Although I have a feeling the fish will be staying faaaar away from myself and all the other flailers kicking one another in the face during their first triathlon. On top of that, there’s the whole transition thing; getting from the water onto a bike. Getting off the bike for the run seems fairly easy (I think); I can just ditch it and go (again, I think). But do I ride the bike in my bathing suit/wet suit? Do I still wear my swim cap on the bike? Do I get socks to put on my wet feet before I stick them in my shoes? Or do wet suits have feet? I don’t even know what a triathlon wetsuit looks like! These are the things that will keep me up at night for the next 7.5 weeks. I’m sure I’ll come up with other terrifying scenarios to worry about as well. All that being said, I’m determined to finish this thing, regardless of how long it takes me and whether or not I forget to take my goggles off before hopping on my bike and then crashing into someone. While the Olympic and Half-Ironman events have cut-off times for each event, us Sprint-ers are left to flail, stumble, and crash for as long as we need until we cross the finish line. Suckers. Do any of you have any goals that scare you? Any race mishaps you could share with me that will make me feel better about my own worries? Or any triathlon training tips to help a sista out? This entry was posted in Fitness and tagged cardio, clean eating, diet, exercise, fitness, goals, health, healthy-living, personal training, training, triathlon, weight loss, workout. Bookmark the permalink. « Summer Sizzle Is Here! Good luck on your first triathlon! I’ve only done a sprint but was equally as nervous beforehand. I got a trisuit which is like an updated version of old school bathinsuits. Its one piece tank top and shorts kind of. I didn’t need a wetsuit for an august tri and wore the tri suit for the whole event. you take your swim cap off when getting on the bike and put on your helmet. Transitions can be where you lose time which was an interesting concept to me, too. Transition time counts for your overall time. I had a mentor who encouraged me to practice transitions just like biking, swimming, and running 🙂 good luck! Its a lot of fun. Thanks for the tips! Mine is a sprint as well and I’m still this nervous hahaha. That’s great you had a mentor! I didn’t know transition time counted, but I’m not going for a time goal so hopefully it won’t be TOO chaotic! Ha! My first one, my only goal was to finish without being last 😮 have fun! LOL I’m in the same boat! Thank you! You’re so organized! I’m jeally! I wish I could help you, but I haven’t done a tri yet. I have done plenty of races that have given me some fear though. And I can say that it is much better to fight through the fear than give into it. Much better feeling, even though it’s scary at the time. I totally agree! It’ll feel good when I’m done (if I haven’t drowned) to have finished despite being scared. And thank you! 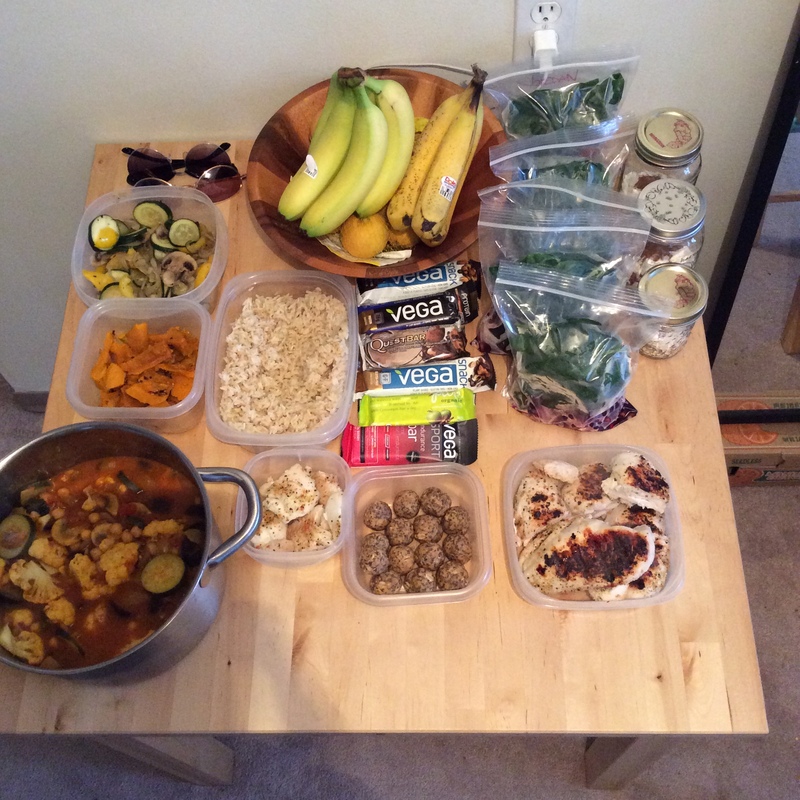 The food organization is super easy to do and saved a ton of time during the week. Good luck! I am doing a tri in July as well..the 12th. 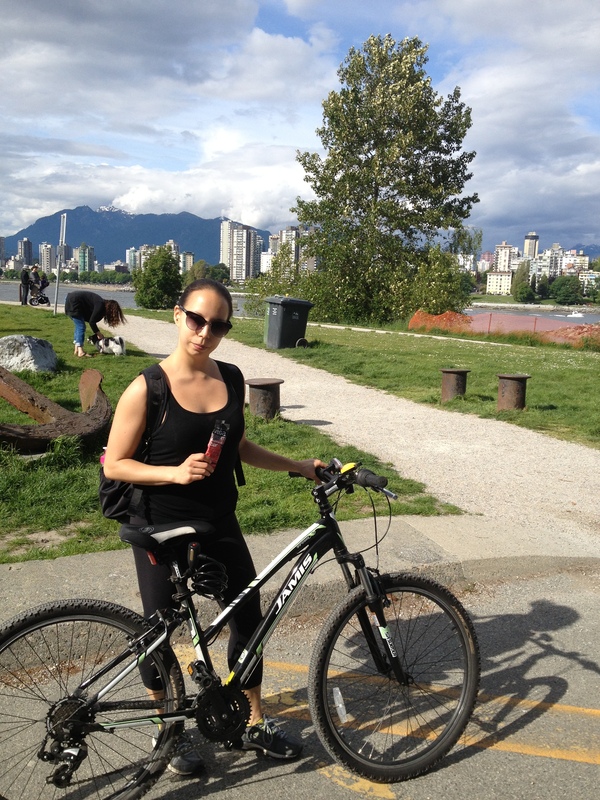 The swim is my strength and the run I’m decent…but the bike! I’m SO worried! That was my weakness…..
Regardless…it’s an accomplishment in and of itself. Just relax and have fun! Thanks so much! I have some of those shorts so maybe I’ll wear them 🙂 I’m hoping I can maybe find something to wear the entire duration, like you said. Good luck with your tri! You’ll do great on the bike 🙂 Just pretend it’s a nice long leisurely ride. What distance are you doing? I am doing a sprint- .25 miles swim, 10 mile bike, 3.1 mile run. I am over the moon that I can finally focus on something OTHER than my shin splints!! I can’t wait to hear how your training and race goes!!! Triathlons are exciting! I find the transitions the hardest. My advice would be to practice those or lay things out and make sure you have what you need and know what to do with it.